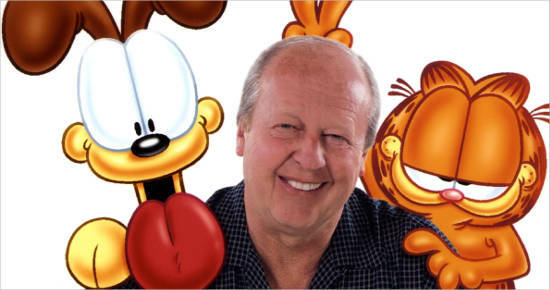 According to Forbes, Jim Davis’s net worth is $800 million. Davis is the famous American cartoonist, creator of Garfield. Davis is famous for his Garfield television series that capture the attention of all ages. James Robert Jim Davis was born on July 28, 1945. 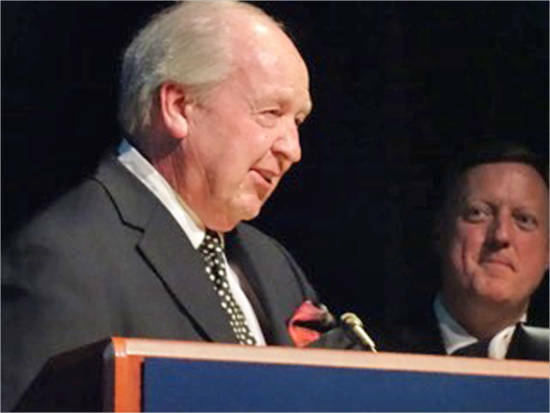 He is popularly known as Jim Davis, the American cartoonist. 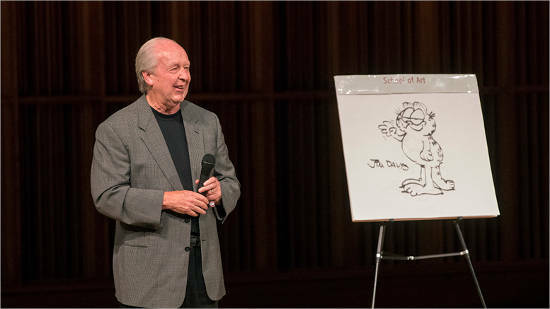 Jim Davis has made several comic strips, like Garfield and U.S. Acres. Ever since Garfield was first published in 1978, people still enjoy it. Other works of Davis are Tumbleweeds, Gnorm Gnat and Mr. Potato Head. 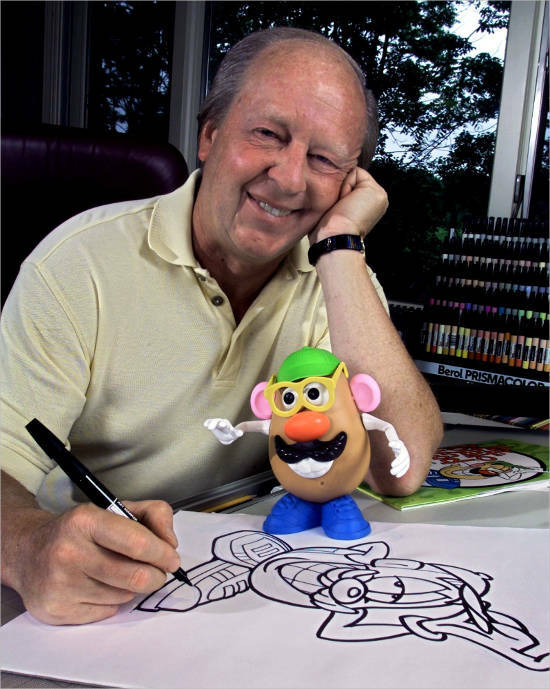 Jim Davis was born as James Robert Davis on July 28, 1945 in Marion Indiana, USA. His father’s name is James William Jim Davis. His mother’s name is Anna Catherine Betty Davis. Jim and his brother, Dave and 25 cats spent their childhood with parents. They all lived on a small farm in Fairmount, Indiana. Davis had attended Ball State University where he studied art and business. While attending as a student, he became a member of the Theta Xi fraternity. In 2016, fall Jim Davis joined as a faculty of Ball State University in Muncie. He is an adjunct professor. 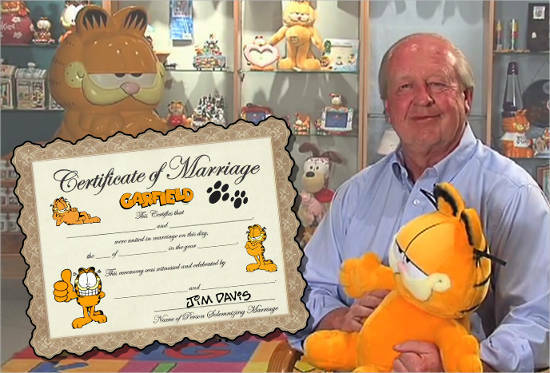 Jim Davis is twice married. The first time he was married to Carolyn Altekruse. She was allergic to cats but they owned a dog named Molly. They have a son, James Alexander Davis. On July 16, 2000, Davis married his present wife, Jill. They have children namely Ashley and Christopher. Before creating Garfield, Davis was with an advertising agency. In 1969, he worked with Tom Ryan in Tumbleweeds comic strip. Thereafter, he created Gnome Gnat published in The Pendleton Times, an Indiana newspaper. This lasted for five years. However, people showed no interest in buying comic strip on bugs from him. Davis created Garfield. He knew all about cats from his childhood. Garfield, Jon Arbuckle, his brother Doc Boy and their parents live in a farm. The comic strip shows Jon Arbuckle as a cartoonist. Also, Jon Arbuckle’s birthday is celebrated on the same day as Jim Davis [July 28]. Only difference is Jon Arbuckle is a confirmed bachelor. Garfield was first published on June 19, 1978 in 41 newspapers. Recently, the same is found in 2,580 newspapers. It is read by 300 million subscribers each day. Jim Davis lives in Albany, Indiana. He works with his staff on Garfield at Paws Inc. launched in 1981. Paws Inc. employs almost 50 artists and licensing administrators. They work with agents around the world to manage Garfield’s licensing and entertaining World. 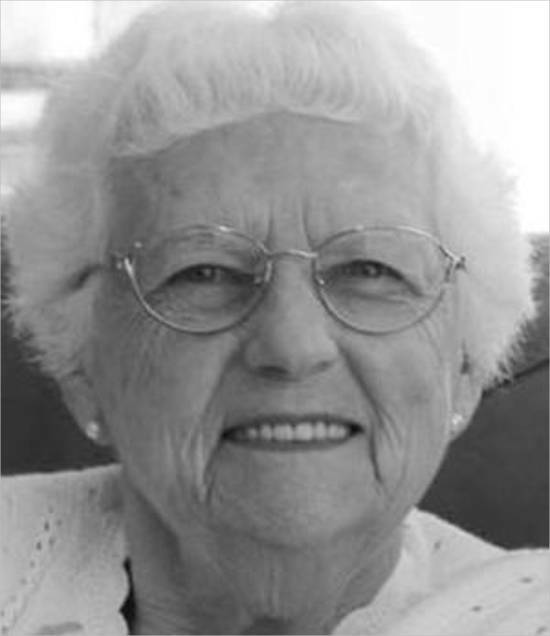 Davis was the former president of Fairmount, Indiana FFA chapter. In the 1980s, Davis made the barn yard comic strip U.S. Acres. Beyond the borders of USA, the strip was known as Orson’s Farm. Davis and Brett Koth created 2000–03 strip based on the Mr. Potato Head toy. 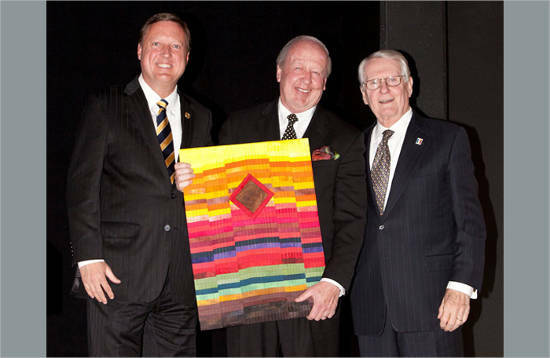 Davis founded the Professor Garfield Foundation to support children’s literacy. He influenced comic reliefs such as Mort Walker’s Beetle Bailey and Hi and Lois. Others are Charles M. Schulz’s Peanuts, Milton Caniff’s Steve Canyon and Johnny Hart’s B.C. 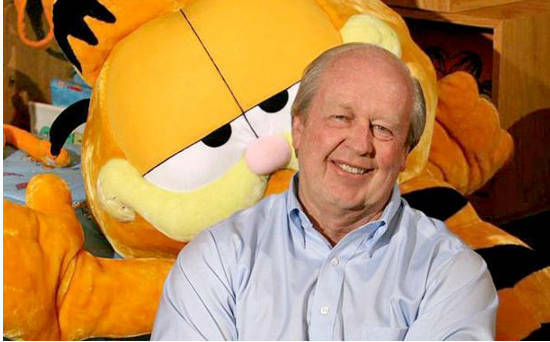 Jim Davis has written or co-written Garfield TV specials. Most of these have been nominated or have won Emmy Award-winning. 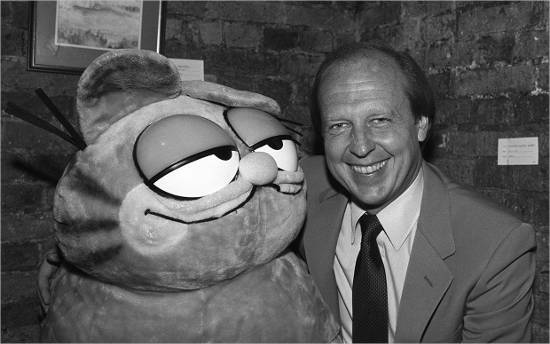 Jim Davis was one of the producers of the Garfield & Friends TV. This show was aired on CBS from 1988 to 1994. Davis is the writer and executive producer of trilogy of CGI-direct-to-video feature films about Garfield. He is the executive producer and the creator for CGI-animated TV series The Garfield Show. Jim Davis works on the Garfield comic strip even to this day.